Aaron has a passion for family life and sports, and is highly motivated in changing the community’s perspective of and approach to health. 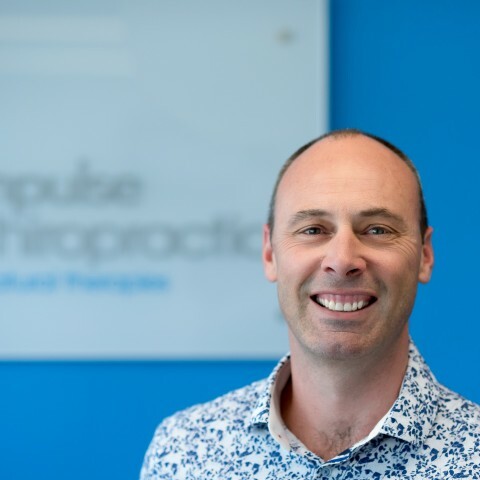 Aaron Fitzgerald has been in private practice since 1999 having completed his Masters of Chiropractic degree at Macquarie University. Following 4 years of working in Terrigal within a well respected family based clinic, he relocated back to the Northern Beaches in 2003 to open Harbord Village Chiropractic Centre. Feeling the urge to get involved with Chiropractic’s growth and development, Aaron also returned to the Macquarie University Chiropractic program as a lecturer, clinic supervisor and registration board examiner for 8 years until a rapidly growing family of his own recently required a short break from these extra activities. He continues his own Chiropractic path by furthering his education and knowledge in paediatrics and pregnancy, rehabilitation, functional neurology, diagnostics, and many extra Chiropractic technique/management courses to acquire exceptional skills in helping your whole family achieve their health.